Moving can be an exciting time in a person’s life. But it can also be one of the most challenging times in a person’s life. And perhaps the biggest challenge is finding reputable movers to do the heavy lifting. Unfortunately, scams and unethical business practices do exist. If you’re not careful, your money and belongings could be in jeopardy. 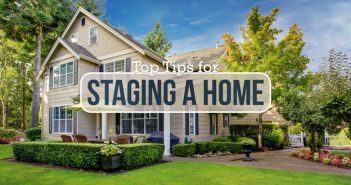 Knowing what to look for in a moving company will help you better prepare for your move and minimize the stress and hassle. In order to find a reputable moving company, it is important to ask family, friends and co-workers for recommendations. Chances are they have had experience with a particular company they can either recommend or steer you away from. To ensure a company is legitimate, check to see if it has a physical address. Consider visiting the facility and checking out the equipment. If you hire a local mover, you’ll avoid being duped into doing business with internet scammers. Whatever company you’re thinking of hiring, make sure to verify its credentials. If you’re moving from one state to another, the moving company must have a number issued by the United States Department of Transportation. For in-state moves, requirements vary by jurisdiction. Check your state’s rules and regulations for moving companies. Visit the company’s website and read what its customers are saying. Also, you can check the company’s rating with the Better Business Bureau (BBB). Furthermore, sites such as Angie’s List, Google and Yelp provide information about local businesses. There’s even a national association of movers with a searchable database that identifies quality and professional movers. Choosing a reputable moving company is all about research, and part of that research includes finding out how long a company has been in business. Experience counts, and a long successful track record goes a long way in deciding who you want to entrust with your stuff. Get at least three in-home estimates and compare the bids. Request the mover for either a binding estimate or a binding not-to-exceed estimate. Both types put a guaranteed cap on what you will pay. Be wary of an unusually low estimate as it could reflect a lower quality service or they could try charging you more after the move. A reputable moving company will not give you an estimate over the phone or online. Face-to-face meetings are always best. 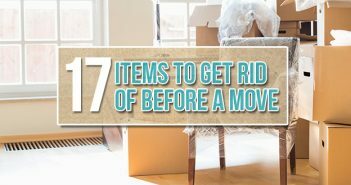 Reputable movers won’t ask for large, upfront deposits or cash payments. If they do, move on. Payment should be made upon delivery with a credit card to protect against fraudulent activity. If you pay in advance, you have no control over when you will see your stuff again. Now that you know what to look for in a moving company, you can hire the right team for your move. Finding a reputable moving company requires doing a little research. 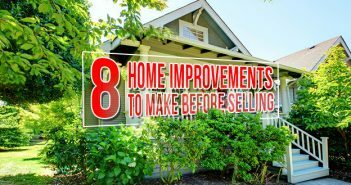 But if it’s done the right way, you’ll save yourself time and money, much like when it comes to selling your home. For more home-related tips, check out our Home Project Guides. Have a few more tips on how to choose a moving company you can rely on? Share them in the comments! Hey thanks for the post. We’re a moving company in Virginia and we’re always looking to keep our eyes out for what customers are looking for in a moving company. The stuff you said like a company’s experience and their physical address really matters when checking to see if the are legitimate.